Speaking, Training, S/W Dev on Android, Java, Unix. 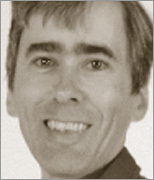 Ian F. Darwin has worked in the computer industry for three decades: with Unix since 1980, Java since 1995, and OpenBSD since 1998. He wrote the freeware file(1) command used on Linux and BSD and numerous other freeware tools, including the PassMaker password generator and JpsTrack for OpenStreetMap contributors. He is the author of Android Cookbook, Java Cookbook, Checking Java Programs, Checking C Programs with Lint, co-author of Tomcat: The Definitive Guide and author of about a hundred articles and presentations and several full-length courses (both university and commercial) on Java and Unix. In addition to programming and consulting, Ian teaches Java, Unix and Python for Learning Tree International, one of the world's largest technical training companies. Ian runs BSD UNIX (OpenBSD and/or OS X) on all of his computers and *NIX (Android and QNX/BB10) on all his mobile devices; the only Windows he has are made of glass and look out over the countryside north of Toronto. "Any advanced computer collection strong in Java programming needs this." "Tomcat: The Definitive Guide is designed to put everything you need to know in one spot for easy access...If you've got a Servlet/JSP text that has been dying for a companion, Tomcat: The Definitive Guide can save the day." "If you need to run Tomcat, then this book is a must-have. It will keep you out of trouble and have your Tomcat server running smoothly long into the future." "The book covers subjects of interest for programmers with any level of Java expertise and is written in the classic 'cookbook' format...If you are like me and spend a lot of time learning by example, you will find this book an excellent resource."